CarFax Certified 1-OWNER! Southern-owned truck, drives GREAT, and is super clean. Fitted with thousands in upgrades including a small lift, 20" MKW wheels, brand new LT285/55 Cooper tires, Weathertech floor liners, Aries push bar, nerf bars, bug shield, Line-X spray liner, and more. Lots of room and lots of power; tow capacity rating of over 10,000 lbs. Oh, and by the way, it also has a squeaky clean CarFax with no history of any accidents! EQUIPPED WITH: a 5.7L iForce V8, an automatic transmission, and the SR5 w/ TRD & Texas Edition Package. INTERIOR AMENITIES INCLUDE: a cloth interior, power windows, locks, & mirrors, power seat, front bucket seats, folding rear seats, side airbags, remote keyless entry, cruise control, AM/FM stereo, CD player, telescopic tilt steering wheel, rear a/c vents, storage compartment, power sliding rear window, tinted glass, and more! EXTERIOR OPTIONS INCLUDE: alloy wheels, fender flares, fold-away mirrors, front push bar, running boards, spray-on bed liner, and a tow package. You won't find any pushy salesmen here. You won't find any ridiculous doc, prep, and sales commission fees like the big guys charge you. We're family-owned and operated for over 30 years. Ron Jones, my father, is a former Captain in the United States Air Force and we're here to assist you! 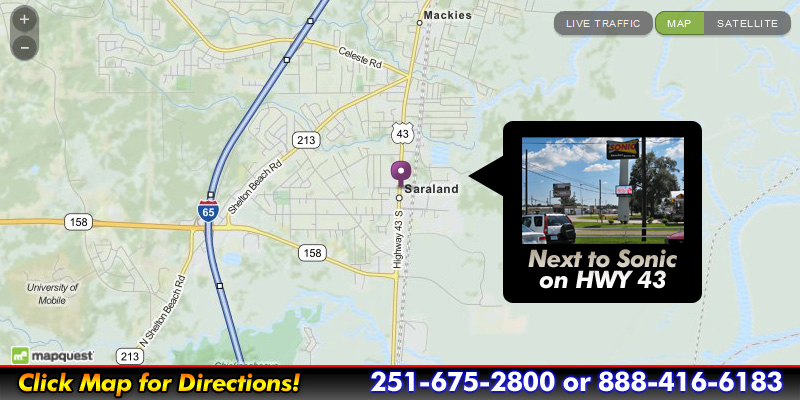 Stop by and see us today at 609 Saraland Blvd S in Saraland, AL. I search the Southeast to bring you some of the most desirable vehicles on the pre-owned market today. Our prices are closely monitored with NADA, KBB, and market reports so that they are both affordable and reasonable; no big mark-ups here. It's always a good idea to call ahead and ensure vehicle availability because these don't typically sit here very long. Please keep in mind that no used vehicle is perfect but that I strive to find the nicest and best quality ones that I possibly can. Only a small fraction of vehicles out there meet our standards. All vehicles have a 100% clean title. Alabama residents pay tax at the time of purchase. Out of state residents pay tax when you get your tag. Don't let this one slip away ... come in or call us today!